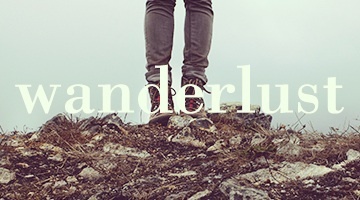 Wanderlust: A strong, innate desire to travel. A love of experiencing new things. Our house has sold, and we moved 12 days ago. Everything happened more quickly than we expected and we worked harder than we have ever worked in our lives in order to downsize, get out, and leave everything immaculate for the new owners on time. Our new, much smaller, place is taking shape but we still have too much stuff. Next goal: Sell more. Gift more. Donate more. Discard more. We both feel our energy and excitement returning. We are already experiencing pay-offs for all of our grueling work. Soon we will be free to travel and to experience new things. Our wanderlust beckons. Does yours? Will you answer?